GUSTO, Rome, Italy. Taste it. 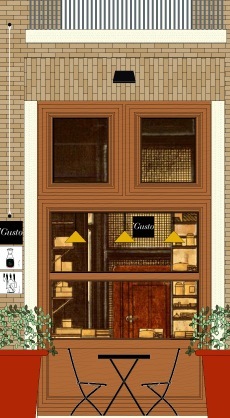 | Travel Blog & Co.
GUSTO, Rome, Italy. Taste it. Whatever you’d like to eat… at any time… and now, you can shop, too. It’s just behind the Ara Pacis, with amazing design and cool mood. Gusto fits it. Every time we’re in Rome, can’t help dropping by. We’re Gustoaholic. This entry was posted in Restaurants & Cafes and tagged ara pacis, bakery, cafe, design, food, gusto, italy, osteria, pizzeria, restaurant, rome, shop, shopping, travel, wine bar by costanzafabbri. Bookmark the permalink.